According to Government data the number of people sleeping rough in the capital increased by 55 per cent in the last five years. 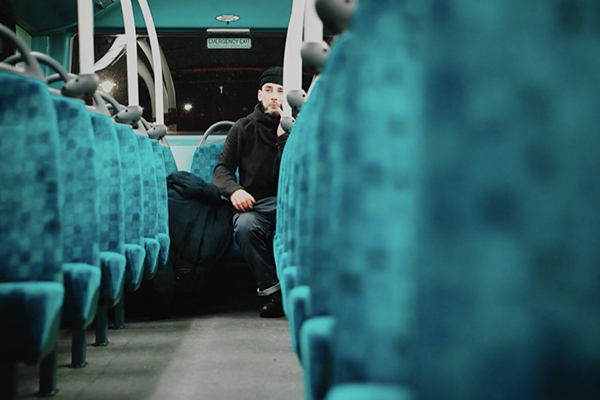 In Bus Sleepers we will meet the people without a home and without even sheltered accommodation who have turned to public transport as the only solution for getting a nights sleep and the charities who help them. With a sever lack of temporary bed spaces for many of London’s homeless, charities such as New Horizon Youth Centre have had to resort to giving homeless clients bus tickets and advice on the best bus routes to take around London to stay safe. The charity used to be able to find emergency beds for everyone, but now say they are only able to for around 50 per cent of the people that come in. The YMCA, another charity supporting young people, added that in 2014 nine out of 10 of their centres had a waiting list while others had to turn people away. We will follow Nicki and Dave, a young homeless as they ride numerous routes to try and get some sleep in the relative warmth and safety of the bus. We also meet Shelagh O’Conner from NHYC as she talks about the reality of bus sleeping and find out how Luke, a homeless man in central London was attacked and badly injured whilst sleeping on a night bus.